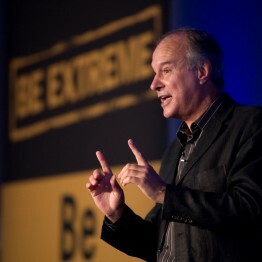 John Simonett delivers high energy keynote speeches on creativity – or (as he prefers to call it) “possibility thinking”. Informative, insightful and highly entertaining. his engaging humorous style has enlivened many a conference audience, whether as a wake-up call to begin the day, as an energiser in the “graveyard” slot after lunch, or to close the day on a high! Under the umbrella title “Restless Curiosity” his keynotes are designed to encourage delegates to challenge their limiting beliefs and question time-honoured traditional thinking about how “things have always been done”. His aim is to highlight the importance of thinking differently and remaining “intellectually curious” in the quest for continuous improvement – whatever job they do. Delegate feedback: What did the delegates think of John? The origins of the term “Restless Curiosity” lie in a series of seminars John was asked to lead under that title for senior managers across the LloydsTSB business (as it was known at the time). It was identified as the most important of several Group Leadership Capabilities, with the aim of stressing the need for Creativity and Innovation across the business. Creativity is of course based on the ability to “think differently” and “Restless Curiosity” was identified as a key “mindset” to encourage managers to: “avoid the complacency of success and actively seek new opportunities for growth” (which is perhaps the best definition of the need for “creativity” in business there is!). “Thank you for your splendid contribution to the Database Marketing Seminar. 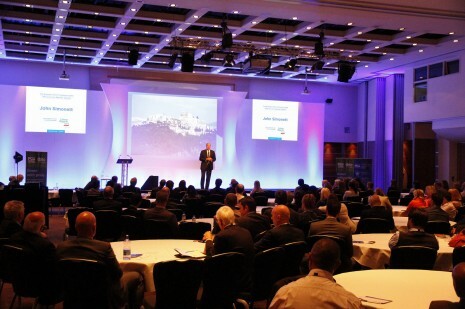 The day was just beginning to drift into that familiar conference tedium when you stepped out to smack the audience between the eyes – it transformed the day. The whole lunchtime atmosphere bubbled when it could have been quiet”. John cleverly combines the latest information from neuroscience and psychology with real-world business applications. His message is straightforward and compelling: we can all achieve more by being aware of the brain’s hidden logic and the latent assumptions we tend to make about the world we live and work in. He believes a better understanding of how our brains work can help us all tap into our vast hidden potential to become more creative, effective and successful. With a highly original down-to-earth approach, John’s style is authoritative yet easy to listen to. His use of humour and showmanship ensures he connects really well with his audiences, without detracting from the power of his message. He is able to work to a brief and tailor his message to fit in with a conference theme and ensure his speeches deliver strong “take home” value. No two talks are ever the same! 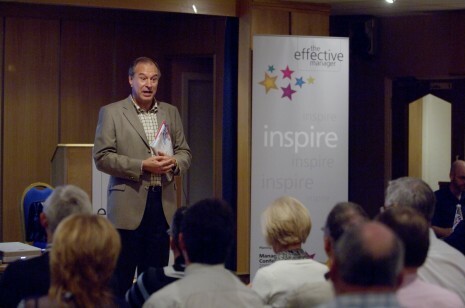 You can check out the original LloydsTSB Case Study – and the many other ways John has adapted his keynote for different audiences in his Keynote Case Studies.